I've considered cutting her hair. It's long and thick and so beautiful. It sticks on her snotty nose and gets porridge wiped in it and is wild in the mornings and she can't see. She pulls out ties and clips. 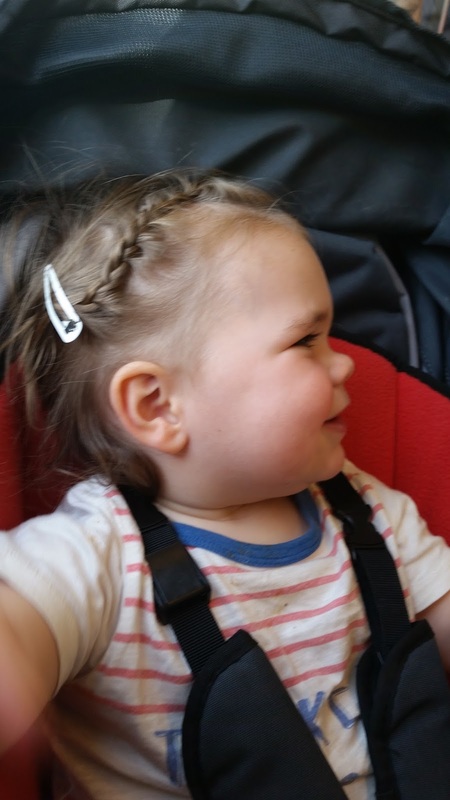 Childcare returns her to me with braids, perfect. Train ride home, always making friends.